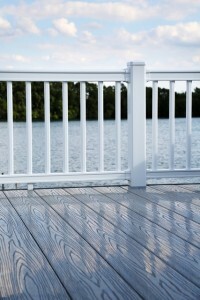 As the old saying goes ‘less is more’ – and Liniar decking kits are proof positive that this is certainly the case. 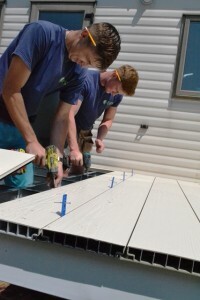 With Liniar decking kits installers can benefit from less preparation work, less cutting, less time on site, less wastage to dispose of and less hassle – all meaning more time to take on more work and more happy customers. Liniar, with more than 15 years of experience in the decking market, produces the only range that’s designed, modelled, tooled, manufactured, foiled and stocked at its own state-of-the-art 400,000ft² facility in the heart of the UK. Well renowned for style, high quality, strength, low maintenance and durability, there’s a whole host of additional benefits to Liniar decking kits. 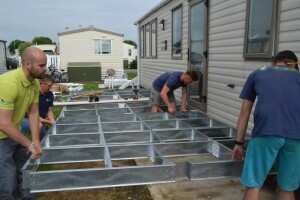 Liniar’s galvanised steel sub-frames, unparalleled in the market, come part assembled for an easy build. The only fully sculptured balustrade system available also comes pre-fabricated, meaning no more fiddly cutting and fitting of handrails with pickets. Liniar’s woodgrain effect deckboards are available in five attractive colours and cut to length for a hassle-free installation. You can even add matching gates and steps to your installation, which are delivered pre-fabricated – all saving the installer an incredible amount of time on site. 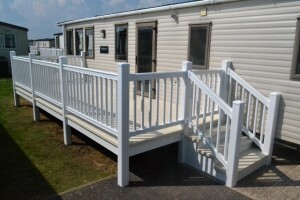 Kits are supplied with all necessary fixings and required hardware to put the deck together. As well as saving time on installation, all of these benefits remove any issues finding sufficient space on site for cutting and assembly, keeping mess and noise to a minimum and removing the need for stock-holding. With a vast selection of standard designs to choose from, plus a bespoke facility available, along with a simple ordering system, Liniar decking kits have been specifically developed to save time all-round for busy installers. 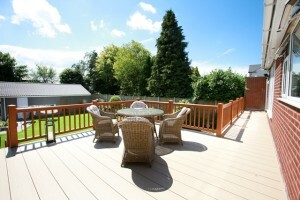 Decking is an ideal addition to a variety of locations. 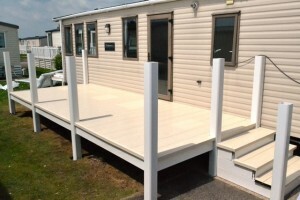 Whether it’s in a garden, the exterior of a commercial property, a caravan or lodge, Liniar decking is the perfect way to transform an outdoor area – so choose the best quality, British-made system on the market. The Liniar brand is synonymous with outstanding innovation, style and engineering. On-going investment in development and product design, machinery and facilities ensures that Liniar is at the forefront of the most up-to-date technology. Because components are available from stock, waiting times are kept low. 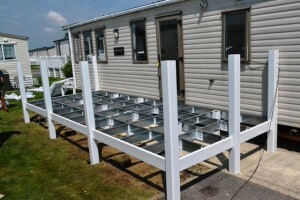 This means that standard Liniar decking kits will be delivered within a lead time of 7-14 working days using Liniar’s own transport. Click here to download the decking kit survey sheets. Once completed, email them to us at decking@liniar.co.uk and we’ll provide you with a quote, or contact us for more information. With Liniar’s unparalleled attention to engineering details, together with an outstanding level of customer service, all at a competitive price – you can be assured of a top quality product.